The Northeast Precast Design Scholarship is making a difference in the life of a talented and motivated NJIT student. Whether your need is functional, aesthetical or both, precast concrete is your go-to building material. 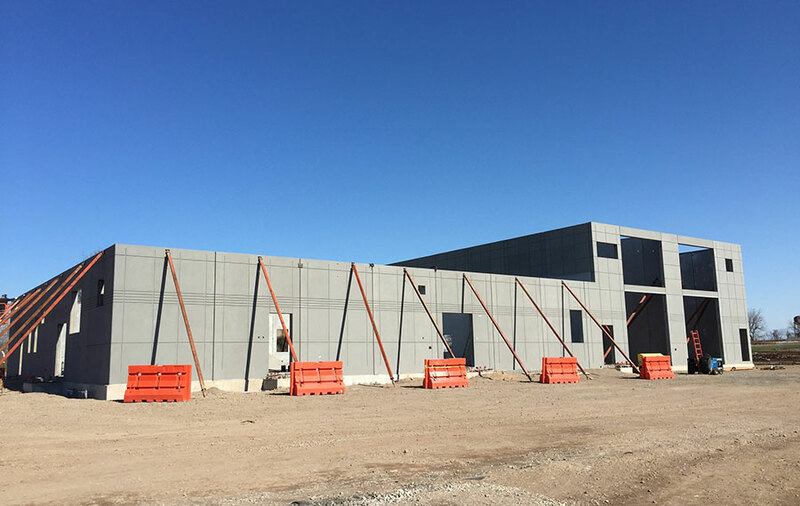 You can achieve a fast installation; find a way to overcome challenging job site restrictions; ensure watertightness or resistance to buoyancy; create a desired look; or achieve complex customizations with precast. In addition to all of this, precast concrete can take nearly any shape or size, be manufactured in virtually any color and come a wide variety of finishes. With precast, you are limited only by your imagination. A Superior Walls project can typically be installed in just hours, not weeks. Wall panels are set in place by crane and secured together with bolts by trained crews; laser-leveled to be plumb, level, and square. Joints are sealed tightly and permanently with special adhesive sealant. Once completed and cured, Superior Walls products are delivered to the job site. This factory-to-job site delivery promotes reliable scheduling, allowing projects to run more quickly and efficiently, with less waste and less down-time. The building industry’s leaders are building today’s new homes with Superior Walls products. Certified trained crews install our superior systems typically in less than one day, in virtually any weather. Your builder can save valuable time building your home with the dry, warm, smart, superior solution.